This week I had a trip planned to visit my friend in Grand Rapids, MI, because she just had a baby. It had recently been her birthday, so I decided to bring her a cake. I desperately needed an excuse to bake!! But the sad news is, I totally cheated all week on my vow to not eat sweets. It’s true, that when you do it once, everything starts to go downhill from there. I had brownies, cookies, my cake (I even made a mini, and we were still eating it for days), and ice cream while I was there. So, back to the drawing board. I got this recipe from Smitten Kitchen, one of my absolute favorite food blogs. 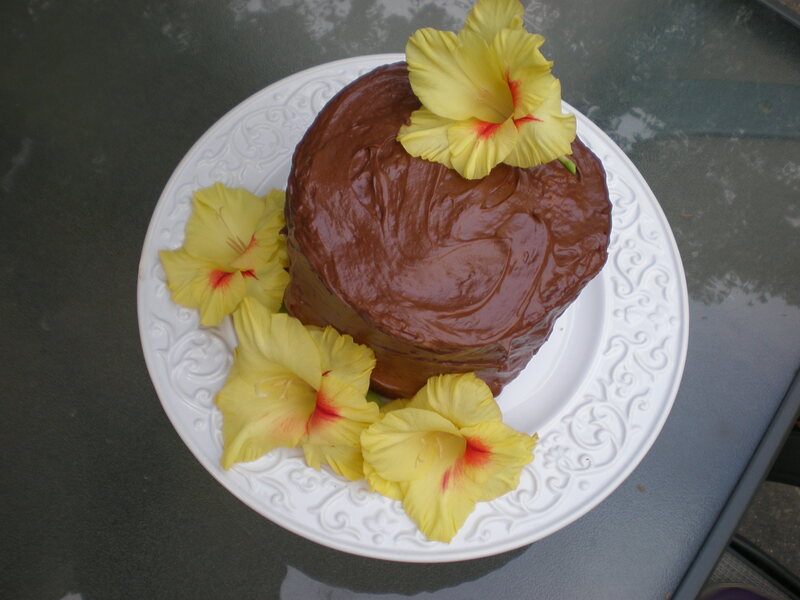 I will definitely make this cake again, especially since my mom is a lover of all things almond. I think it would also be good filled and frosted with chocolate frosting, if you don’t want to mess with extra step of using raspberry. 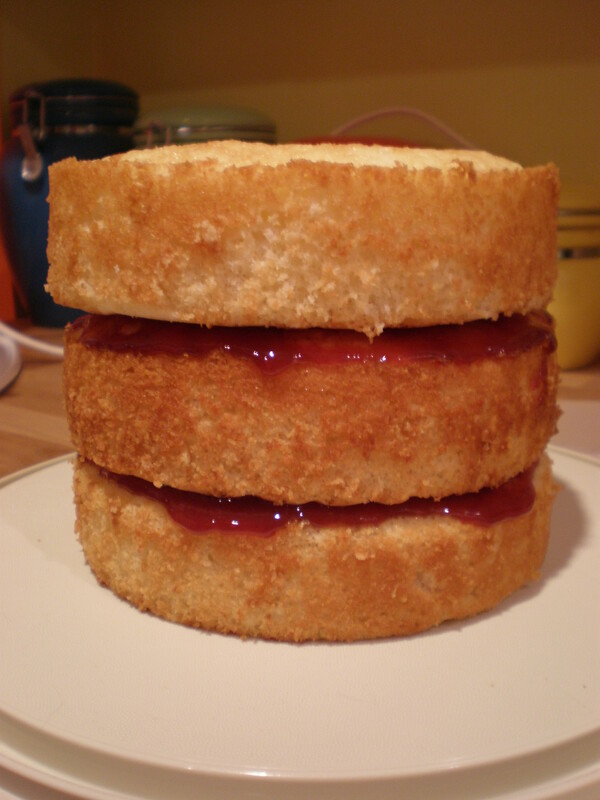 I made this into a 6″ round cake instead, like she did at Smitten Kitchen. 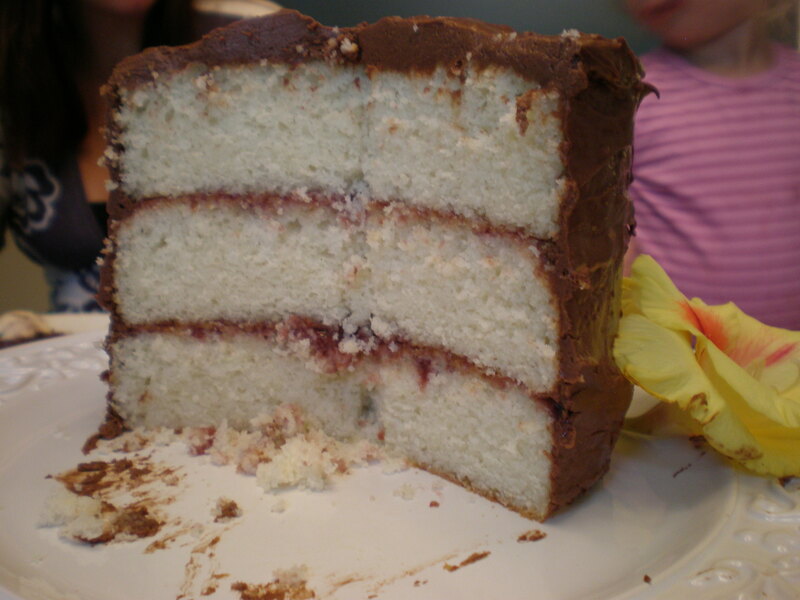 Three 9″ layers is way too much cake for 3 adults and 2 kids! All you have to do to convert is divide the recipe in half…it works out perfectly. The almond cake is pretty intensely flavored, and really quite easy to make — a true “white” cake (as in, no egg yolks, just whites) whose advantages are that they’re pretty and light (and quite traditional for wedding cakes) but having the disadvantage of benefiting from a brush with a simple syrup if you won’t be eating it right away. The raspberry jam filling couldn’t be easier, and whether you cover the cake with a whipped bittersweet ganache (as we did), a Swiss buttercream or cream cheese frosting, it’s guaranteed to be the prettiest little thing to cut into. whoa!! This looks delicious and a lot of work. You are a good friend 🙂 Love the photo with the flowers. actually, it was a pretty easy cake! 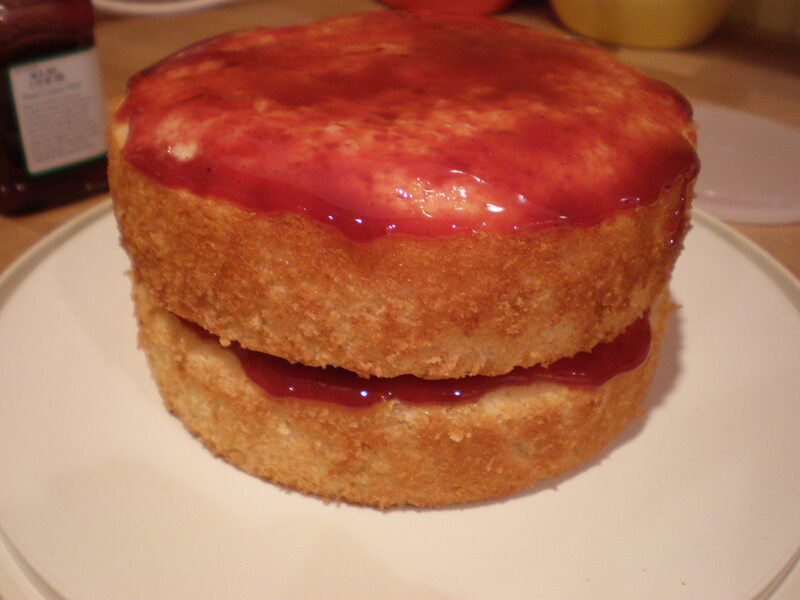 especially since the filling is just raspberry jam! and it’s delicious!!! !